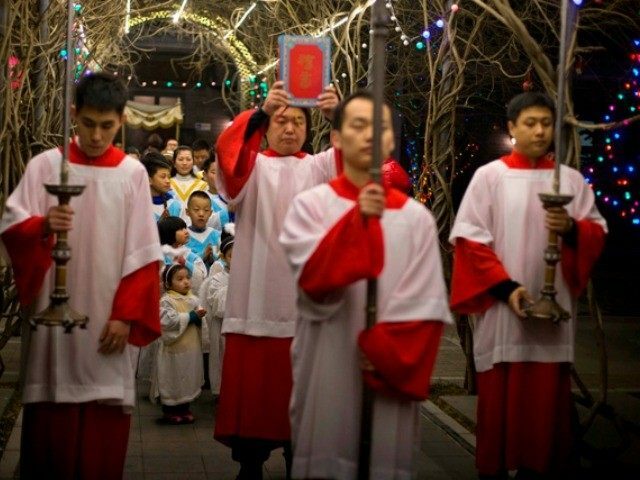 The relationship between the Catholic Church and China is “an open wound, which must be treated and cured,” says Joseph Wei Jingyi, the underground bishop of Qiqihar, in northeast China. “So the problem of relations between the Church and the government must be addressed as soon as possible,” he said. The 57-year-old Wei, a native of the diocese of Baoding, has been imprisoned three times, once for more than two years, and has had his personal freedoms restricted. Wei’s episcopal ordination is not recognized by the government because of Beijing’s animosity toward Rome. He was invited to attend the Synod of Bishops at the Vatican in 2005, but the government barred him from attending. In 1988, Pope Benedict XVI reached out to Catholics in China with an open letter, in which he praised their faithfulness, encouraged their perseverance, and laid out new guidelines for the life of the Church in China. Though he acknowledges the risks, Wei is a firm believer in the need for dialogue to get the ball rolling. “Precisely because there are problems,” he said, “we need to find solutions through dialogue and in dealing with the government, also by establishing diplomatic channels of dialogue. That is the way to try to loosen the knots that cause division,” he said. “I believe that any theory of holding out to the bitter end or ‘cold war’ contradicts the heart of Christianity,” Wei said. Wei praised the Vatican’s recent overtures toward Beijing. “We support all these initiatives that the Pope is taking to communicate his willingness to talk,” he said. The Vatican has indicated it may be willing to break off relations with Taiwan, which is a condition laid out by mainland China for the renewal of diplomatic relations. Wei is a fan of Pope Francis and spoke of his popularity in China. Wei said that ultimately, unity in the Church is a spiritual endeavor, and not merely a human one.